The user attacks the target with great power. However, this also lowers the user’s Attack and Defense stats. The user hits the target with its tail. This may also poison the target. Critical hits land more easily. 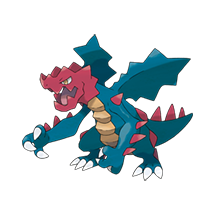 What do think about Druddigon?